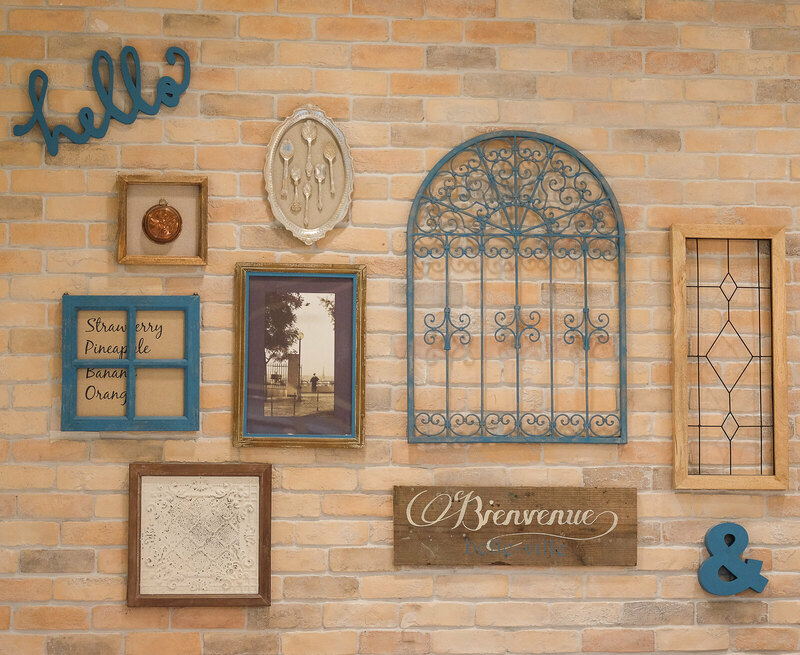 You are here: Home » Blog » Belle-Ville Pancake Cafe – Insta-Worthy Pancakes that are Fluffier than a Sponge Cake! 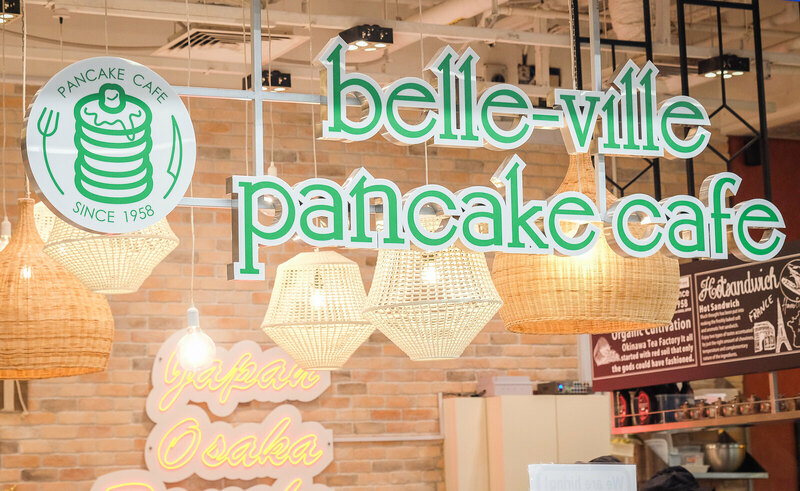 Belle-Ville Pancake Cafe uses only fresh milk in its famous pancakes. The team churns out a consistent pancake batter by first separating egg yolks from egg whites by hand. They then blend the egg yolks with the specially chosen milk and premium wheat flour. 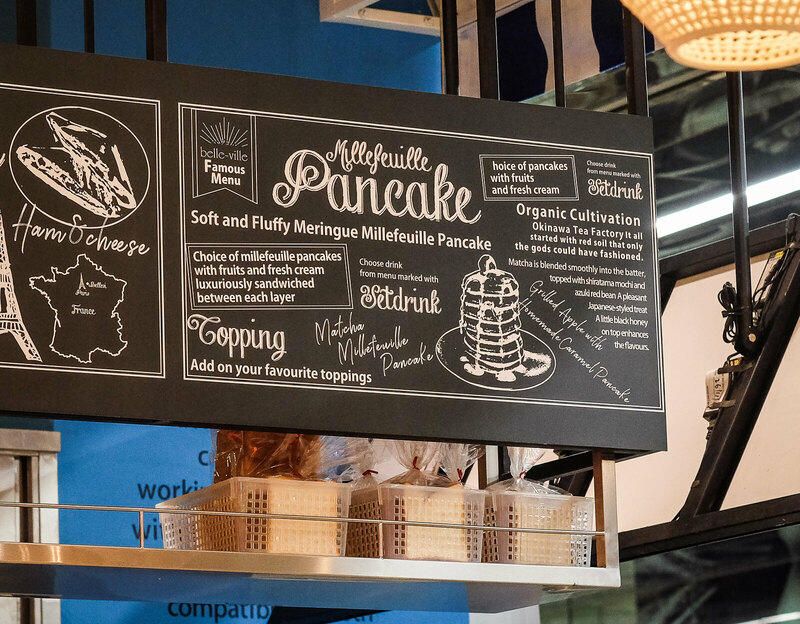 Once an order is received, Belle-Ville Pancake Cafe whips up the meringue component into the batter and grills the pancake. Shaped like a full moon, the pancakes are stacked to make the millefeuille (one thousand sheets or layers). The Grilled Apple with Homemade Caramel Pancake (4 pieces for $12.20; 8 pieces for $16.20) was my favourite of the 3 that I tried, because I’m not a fan of extremely sweet desserts. This dish was sweet and slightly bitter. 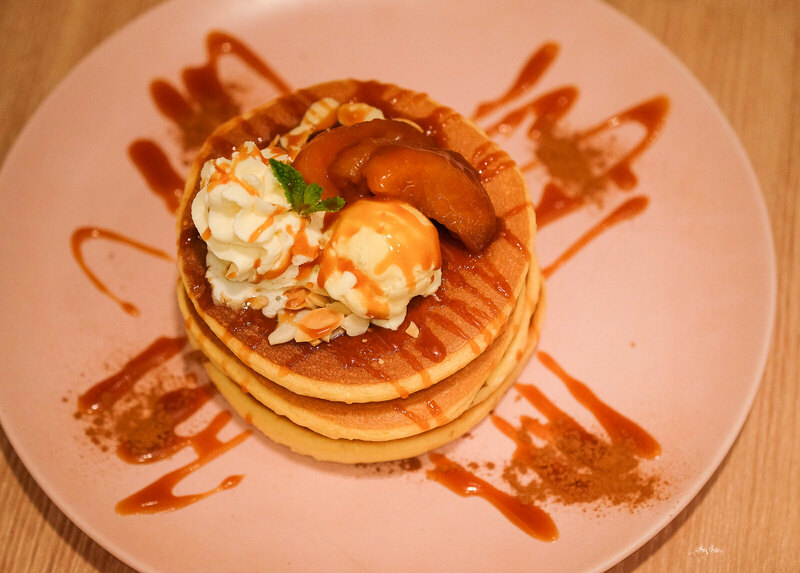 The chilled apples and caramel were just the icing on top of the very fluffy pancakes. Nimman Soi 9 - A Taste of Authentic Thai Food in Tampines! For berry-lovers, the Strawberry and Mixed Berry Pancake (2 pieces for $11.90; 4 pieces for $14.40) is right up your alley! 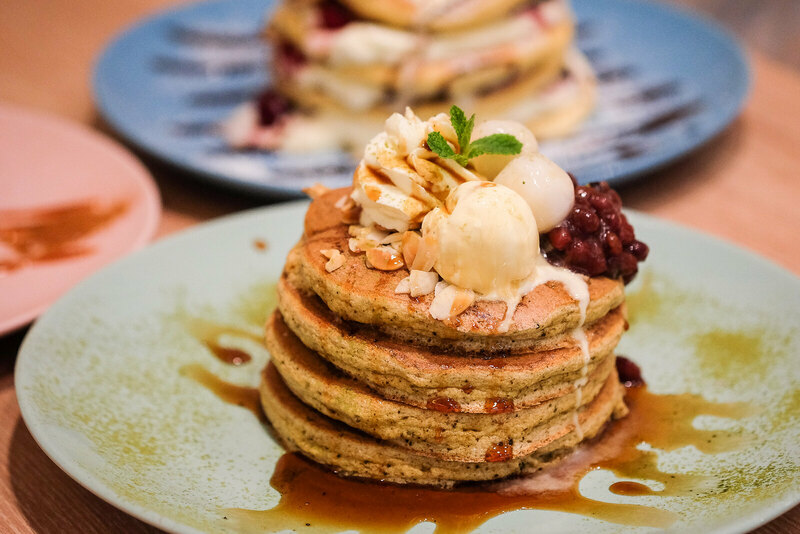 A scoop of vanilla ice-cream that’s sprinkled with crunchy almond slices rested on the pancake stack, slowly melting away. It was a little too tangy for me but the whipped cream balanced out the sourness. 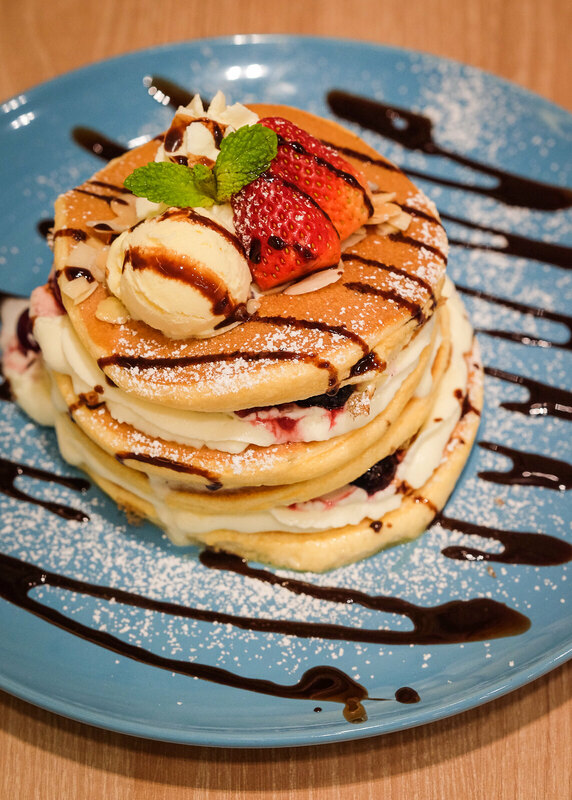 The fluffy, milky and buttery pancakes was packed with blended berries! 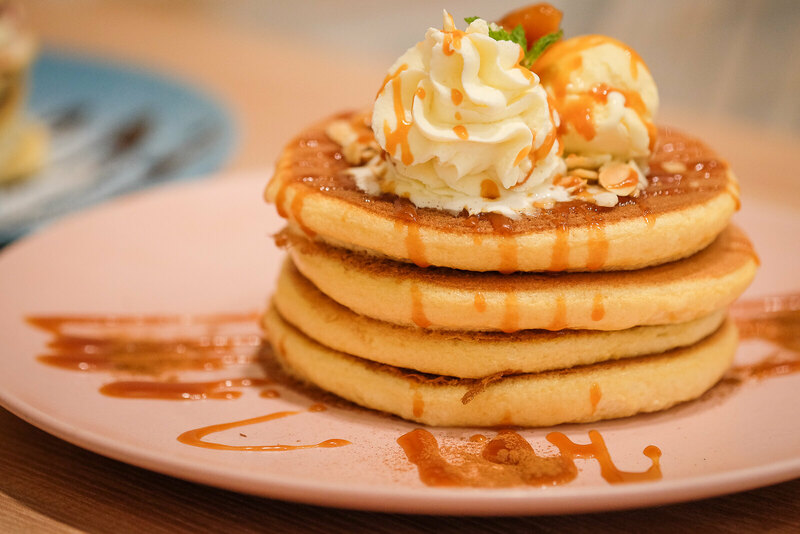 The texture of the pancakes resembled that of a sponge cake, just that it was much softer. The Matcha with Rice Ball and Red Bean Pancake (4 pieces for $12.20; 8 pieces for $16.20) turned out to be a savoury pancake. Fans of matcha will definitely fall head over heels in love with this! The dollop of red bean was grainy and strong in flavour. The rice ball (Japanese rice-cake made of short-grain japonica glutinous rice) was chewy and sweet. Everything came together perfectly. I wished the matcha flavour was more intense though. 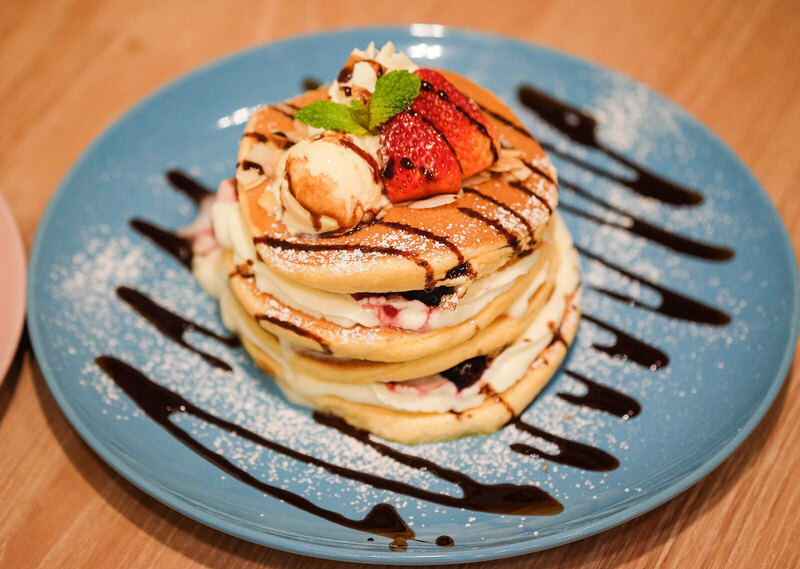 This instagrammable pancake cafe is definitely worth a visit. Prices are also pretty reasonable. I’ll be dreaming of these brilliant pancakes for awhile, I think. Opening Hours: 8:30am to 8:30pm daily. Let’s build a food community that helps to update the food news in Singapore! Simply comment below if there’s any changes or additional info to Belle-Ville Pancake Cafe. We will verify and update from our side. Thanks in advance!